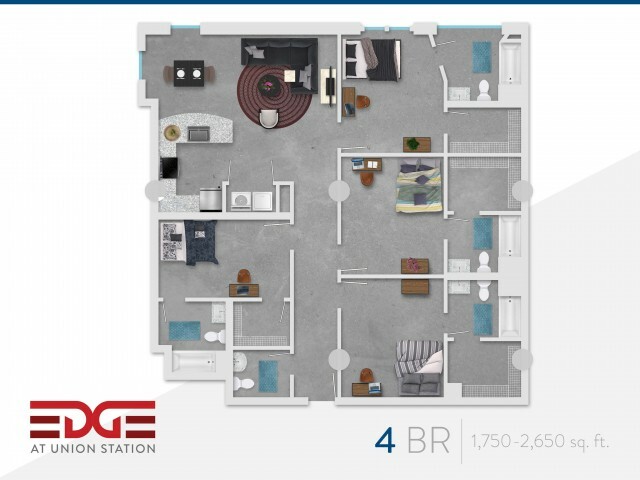 Edge at Union Station offers one, two, and four bedroom student apartments for rent in Worcester, Massachusetts. Our student apartments are fully furnished, with secure bedrooms and en suite bathrooms for unsurpassed luxury and privacy. Our industrial-chic architecture features exposed brick walls, concrete floors and over-sized windows for ample natural light. Enjoy community-wide WiFi with high-speed internet, HD cable and a 50" flat screen TV and the ultimate modern convenience--in unit washers and dryers. To experience it for yourself, schedule a tour or complete an application online today! All apartments are fully-furnished with private bedrooms and bathrooms. This makes Edge at Union Station ideal for roommates, particularly college students. 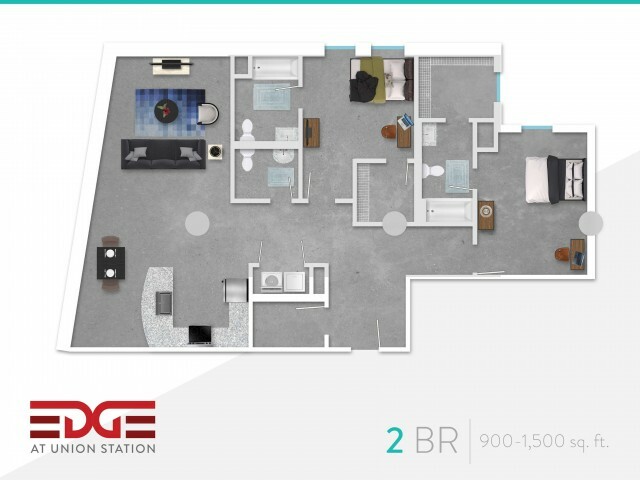 In addition to furnishings and private bathrooms, Edge at Union Station offers the best combination of sleek designs and historic character.